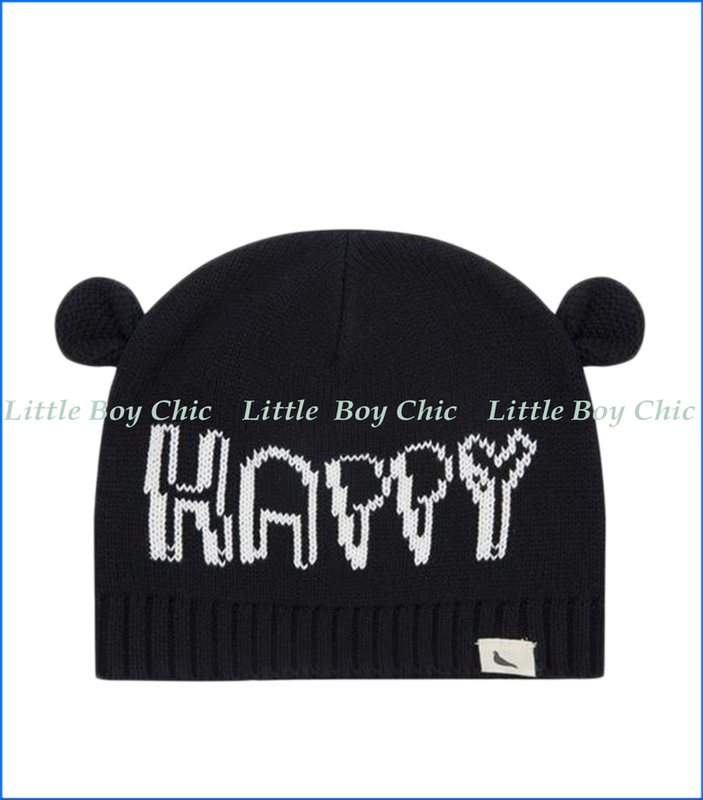 He’ll be “happy” to wear this hat with character ears, and you’ll be relieved that his precious head is well covered in the cold. Monochrome makes this perfect for accessorizing with any outfit for winter warmth. Woven logo tab on hem.